Anne McCaffrey’s dragons are the stuff of which SF/fantasy legends are made. All of her dragon books have been national bestsellers. “The Girl Who Heard Dragons” is the story of Aramina, a teenage girl of Pern who hears dragons—a skill which does not seem likely to help solve her family’s problems. They are “holdless,” and must constantly roam the land, trying to hide from bandits. Aramina’s mother fears losing her daughter completely to the life of a dragonrider, but McCaffrey has another fate in mind for her young heroine. A very diverse collection of short stories. I’ve only read a few McCaffrey Pern novels so I’m only familiar with her high fantasy style. I did have to read the title story twice, the second time allowed me to fit the characters back into what bits I remembered of Pern. 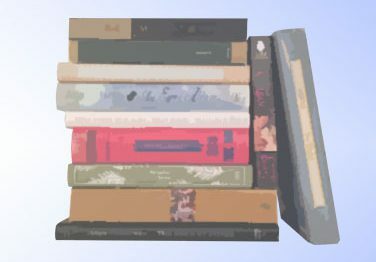 After that I experienced a bit of stylistic whiplash – high fantasy, SF horror, absurdist humor, space opera, sociopathic time-travel, magical realism (yeah, yeah), fairy tales – that made it hard for me to “settle” into the book. The most settled I felt was stories 4-6, all set during an intergalactic war between the Alliance and the Khalians (think WING COMMANDER or any of the major Star Trek storylines, ie, Federation vs Borg/Dominion/Klingon/Romulan empires) but with different characters and situations. All the stories are very well-crafted and worth reading (with the possible exception of “The Greatest Love” – written in 1956, the subject of surrogacy and in vitro fertilization is quite dated by 2012 (the world’s first test tube baby is my age) and the story serves as an example of why scientific ignorance serves no one). The introduction “So You’re Anne McCaffrey” is priceless. Tasha Alexander’s Lady Emily series was recommended to me by my SIL (who I have yet to get to join GR) so I put And Only To Deceive on my Book Blogger Holiday Swap wishlist. And I was gifted a copy. Shame on me for not reading it until now. The plot is a bit convoluted, but I liked it (this likely comes from reading Victorian novels so I am maybe a bit immune to these sorts of things). Lady Emily is coming out of mourning for her husband who died while abroad in Egypt (aside: Victorian mourning is crazy-pants). Just as she starts moving in Society again she visits the British Museum – and discovers that her late husband, whom she married to conveniently escape her mother, may have been involved in antiquities fraud. Or theft. Emily sets out to unravel the mystery, starting with her husband’s journals which reveal more than she sought to know. Meanwhile, Emily is presented with two eligible suitors: Andrew Palmer (wanker, didn’t like him) and Colin Hargreaves (the late-husband’s best friend, who, although he should have been up-front about certain things from the beginning, was on Emily’s side the whole time). I loved all the Greek literature and art information intertwined with Emily’s tale – not only is this a mystery, it is also a coming-of-age tale where Emily learns who her deceased husband really was, learns to mourn him, and starts to learn who she really is and what she wants. Definitely interested in reading the next in this series (Kristen got me into the Pink Carnation series so I’ll trust her on this one). 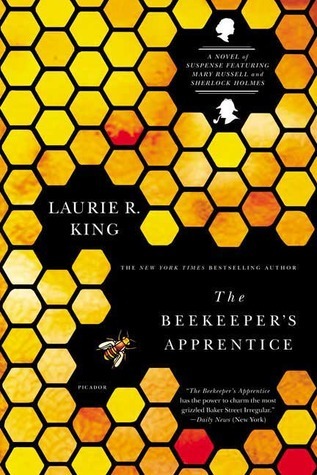 I bought The Beekeeper’s Apprentice a while back as part of a B2B1F sale and just never got around to reading it. Well, @mary_russell started tweeting bits of plot from her books since there’s a new one coming this fall and they looked interesting…so I started reading last night. And finished at 3am. Very fun to read, very hard to put down. A great character study aside from a good mystery (with a hint of one in the middle that Mary skirted around that I think is actually book 5, O Jerusalem). Very evocative of the Holmes voice via Conan Doyle without trying too hard and overdoing it. I loved Mary – sharp as a tack, stubborn, and more than Holmes’s match. Much better than boring old Irene Adler. Having read a few spoilers, I do have to say that the age gap between Holmes and Mary is only very weird when it gets emphasized. Also a good read for the Downton Abbey fans since the WWI setting from the point of rations, working in the fields, etc. is very well-described from the vantage of a very intelligent, Oxford-bound teen. When Lord Darracott’s son and heir dies unexpectedly, the family is informed that the new heir is an estranged cousin. From the wilds of Yorkshire. His mother was a weaver’s daughter (and his father was disowned for marrying her). He’s big and clumsy and he was in the army and he speaks with an awful Yorkshire dialect that no one can understand. Well, Major Hugo Darracott is actually having them on. He’s been educated as a gentleman, can speak English as well as anyone in the landed gentry, and has decided to teach his priggish, snobbish extended family a lesson. They’re all ridiculous – and they all get their comeuppance. Except, possibly, for Lady Anthea. She has a different reason to give Hugh the cold shoulder from the get-go – the family has decided that she will be the one to keep the estate “in the family”, so to speak, by marrying the interloper and Anthea has absolutely no intention of being forced to marry someone she doesn’t like. The longer Hugh remains as Darracott Place to “learn” about the estate, the more she finds that his bumbling rural personae is a sham. When a dangerous smuggling situation arises on the estate Hugh is revealed as The Unknown Ajax the family, and Anthea, has been waiting for all along. This novel will resonate with Downton Abbey fans – the unfortunate death of an heir, a new one from a different branch of the family, and a match-making scheme with the eldest daughter of the family very closely echo the set-up for the popular television series. The antics of the valets – forever in competition with each other – provides many opportunities for laughter. Great fun. Christopher “Kit” Francot is the younger twin. His “twin-sense” tells him that something has happened to his elder brother, Evelyn, Lord Denville, and so he slips home to see what’s the matter. It turns out Evelyn has disappeared on the eve of his presentation to his nearly-betrothed’s grandmother – if Evelyn doesn’t appear, granny won’t give her consent and Cressida Stavely’s much-needed dowry will slip away (neither Evelyn nor Lady Denville have much head for money…at all). 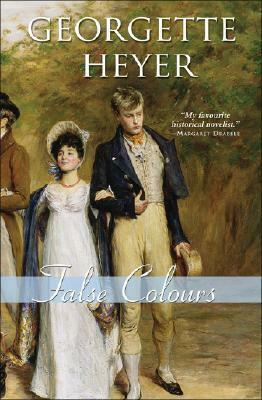 Lady Fancot pursuades Kit to masquerade as his brother for “just one night” setting off a tangled web of mistaken identity – the False Colours. 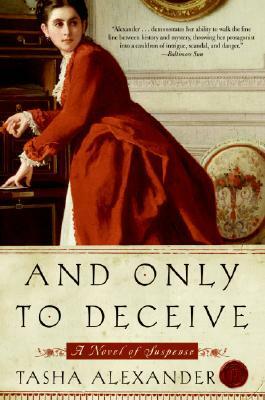 Very much a comedy-of-manners – one twin masquerading as the other, Lady Denville is a pretty spendthrift, her most ardent suitor and friend is a lovable hedonist, and the boring family relatives drone on about “economizing” and the “precarious” health of their son (who is on a repairing lease). The slang flies fast and furious in this novel. I consider myself fairly well-versed but even I had to look up a few. So Heyer did her homework. In previous Heyer novels I complained a bit that the hero and heroine only come together in the last chapter. In this one the couple acknowledges their feelings about halfway through then spends the rest of the novel getting out of the sticky twin masquerade. Sebastian Ballister, the notorious Marquess of Dain, is big, bad, and dangerous to know. No respectable woman would have anything to do with the “Bane and Blight of the Ballisters” – and he wants nothing to do with respectable women. He’s determined to continue doing what he does best – sin and sin again – and all that’s going swimmingly, thank you… until the day a shop door opens and she walks in. Jessica Trent is a determined young woman, and she’s going to drag her imbecile brother off the road to ruin, no matter what it takes. If saving him – and with him, her family and future – means taking on the devil himself, she won’t back down. The trouble is, the devil in question is so shockingly irresistible, and the person who needs the most saving is – herself! 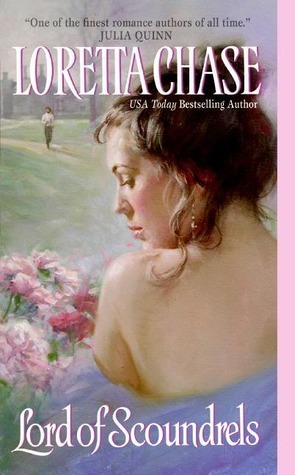 First Loretta Chase novel – definitely not my last. Great dialogue. It snaps back and forth between Jessica and Dain. They poke at each other gingerly at first, then throw serious barbs at one another, and at the very end, when they’ve completely worn down each others’ defenses, converse honestly together. The two best conversations are at the cafe near the beginning and at the wresting match about 2/3 or so in. Having read The Duke And I, The Madness of Lord Ian Mackenzie, and Confessions From an Arranged Marriage, I can see how the “very damaged by his nobleman father” is a subset of hero. But where Simon, Ian, and Blake are quite overtly handsome (which goes a good ways in covering a stutter (Simon), Asperger’s (Ian), and dyslexia (Blake) before the heroines set to teaching them about trust and love), Dain is saddled with both outsized Italian features (in pasty Norman/Saxon England with the Italian temper to match) and a mother who ran off to the West Indies with a local (consequently leaving his opinion of her – and women in general – at the mercy of his angry father and bullying classmates). As we would say in modern terms, Dain has trust issues and self-image problems. Jessica is a great heroine although, IMO, she’s a little too perfect. She’s presented almost without faults. She supports herself. She isn’t missish and demands her own pleasure. She comes to the rescue of her feckless, brainless brother. She loves her unconventional granny. She has an uncanny knack for unearthing overlooked antiques. She’s nannied ten boys (this is frequently mentioned) and so is used to managing recalcitrant males. She can fence and ride and enjoys wresting matches. She’s smart. She’s also a crack shot, aptly demonstrated in the book. And she’s gorgeous. So hoyden, mother, and sexpot rolled into one. It doesn’t make her unreadable just…well, a lesser being just wouldn’t do for Dain and his past. So too perfect is just right in this instance. In honor of Georgette Heyer’s 110th birthday Sourcebooks is offering fifty-two Heyer ebooks (and the companion volume, Georgette Heyer’s Regency World) for $2.99 – 8/14 – 8/20 (Heyer’s actual birthday is the16th)! 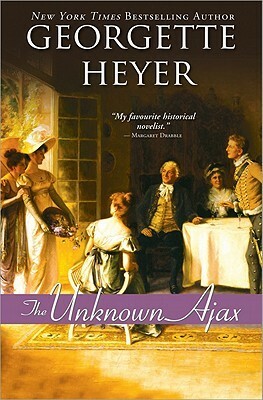 Heyer is considered the creator of the Regency Romance as we know it today (I recommend the Avon/Taverner series that runs These Old Shades, Devil’s Cub, Regency Buck, and ending with the well-researched An Infamous Army). In this lively and compelling account of that year, Rubin carves out her place alongside the authors of bestselling memoirs such as “Julie and Julia,” “The Year of Living Biblically,” and “Eat, Pray, Love.” With humor and insight, she chronicles her adventures during the twelve months she spent test-driving the wisdom of the ages, current scientific research, and lessons from popular culture about how to be happier. Rubin didn’t have the option to uproot herself, nor did she really want to; instead she focused on improving her life as it was. Each month she tackled a new set of resolutions: give proofs of love, ask for help, find more fun, keep a gratitude notebook, forget about results. She immersed herself in principles set forth by all manner of experts, from Epicurus to Thoreau to Oprah to Martin Seligman to the Dalai Lama to see what worked for her–and what didn’t. Her conclusions are sometimes surprising–she finds that money can buy happiness, when spent wisely; that novelty and challenge are powerful sources of happiness; that “treating” yourself can make you feel worse; that venting bad feelings doesn’t relieve them; that the very smallest of changes can make the biggest difference–and they range from the practical to the profound. In my quest to manage my time and figure out what to do with my life (because I refuse to either wallow in pity or do something that smacks of “desperate singleton” like speed date) I decided to read The Happiness Project. It seemed like a good fit – a woman about my age, with some of the same worries as me, who creates a year-long project to determine what makes “us” (and directly, her) happy. I really liked the thought and commitment put into the project – all the reading and research contrasted well with Rubin’s personal experiences. It was also interesting to see how honest she was when part of her project went awry, like when her husband points out that her enthusiasm with organizing closets is starting to alienate friends. I did find the sections of blog comments a bit boring. I hadn’t missed them in the earlier chapters – I know, I know, she didn’t have her blog at that point – but they seemed too much like filler so started skimming when they appeared. I also thought it interesting the number of people who assumed that there was a problem with either Rubin or her marriage since she was embarking on an exploration of being happy. Apparently we aren’t supposed to “improve” ourselves unless we’re “broken” (because preventitive maintenence is only good for cars not for people). 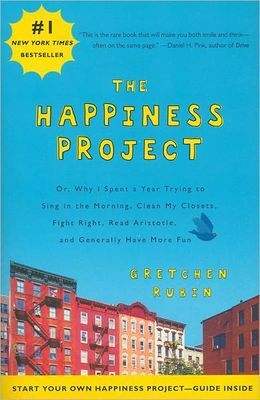 The Happiness Project was a fun summer read. The entirety of Rubin’s project is a bit much for me but she has a lot of food for thought.